About 30 men and women work 24/7 to make sure an explosive cargo of 172,000 cubic meters of liquefied gas (worth $62 million) is delivered to Europe on time. It’s no holiday. 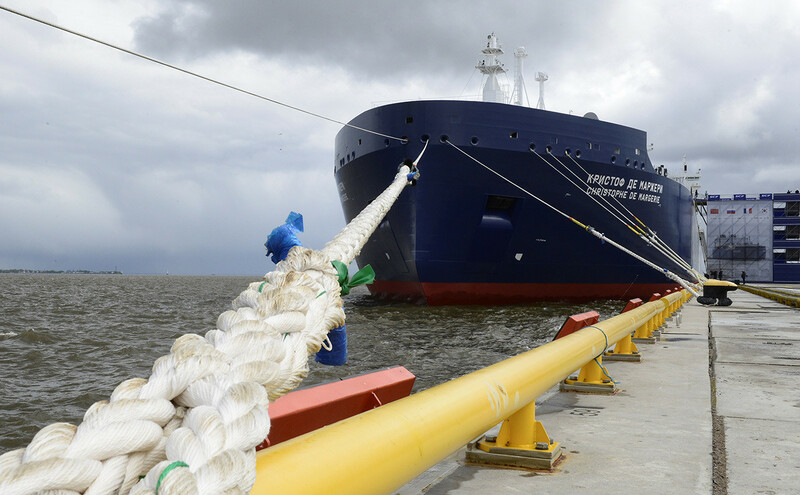 On a freezing evening in early February, I found myself on the Yamal Peninsula, preparing for a voyage through the icy Arctic Ocean aboard one of the world's largest gas tankers, “Christophe de Margerie. The vessel was loading liquefied gas from the Yamal LNG plant into its seemingly bottomless tanks. The plant was built a couple of years ago in the village of Sabetta on the Gulf of Ob. The darkness of the polar night, the tangle of gigantic pipes and steel trusses, the blinding searchlights, and the sparkle of the prickly snow hitting my face created an eerie atmosphere. The icy gangplank seemed endless – to reach the ship, which was creaking in the choppy waters, I had to climb four stories. Once on board, I was met by several broad-shouldered watchkeepers. They were wearing padded red and blue overalls with hoods covering their heads so their faces were obscured. The smallest of them stretched out a small gloved hand and said in a low voice: "I will take you to the captain." I hurried after her, one of just four women on board the ship, stumbling over metal bulkheads. A voyage to Norway on a tanker loaded with almost 200,000 tons of gas for customers in Europe lay ahead. What had I signed up for? I was spending my seventh evening of the icy voyage in the cabin, admiring the pitch-black polar night through the porthole. Somewhere in the bowels of the ship a diesel engine was booming. A fierce northern wind howled outside. “Hard work” takes on a completely different meaning onboard a gas tanker being tossed around in the Arctic. Imagine - 40°C with gale force winds, blizzards, terrible visibility, round-the-clock shifts, and barely any sleep, all the while smashing through ice. Then throw protecting the explosive cargo (and delivering it on time) into the mix. The crew must navigate unpredictable weather and potentially change course at a moment’s notice to avoid any storms. Life on “Christophe de Margerie” is certainly not plane sailing. “Christophe de Margerie” is the first gas tanker in a series of 15 similar vessels (ten are already working on the Northern Sea Route). 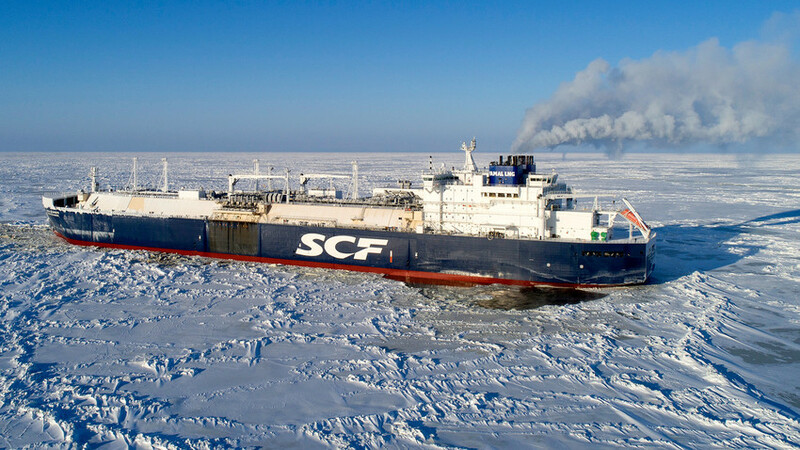 It’s a joint project built by Sovcomflot, Yamal LNG, and Total with the support of Russian and Finnish institutes and shipbuilders. It boasts brilliant manoeuvrability, even in very difficult icy conditions, as its engines are just as powerful as those of an atomic icebreaker. Furthermore, the ship can break, grind, and even crush ice with three electric podded azimuth thrusters (azipods), which enable it to spin 360 degrees on the spot. They say this ship is capable of carrying enough liquefied gas in its four tanks to supply the whole of Sweden for a month. 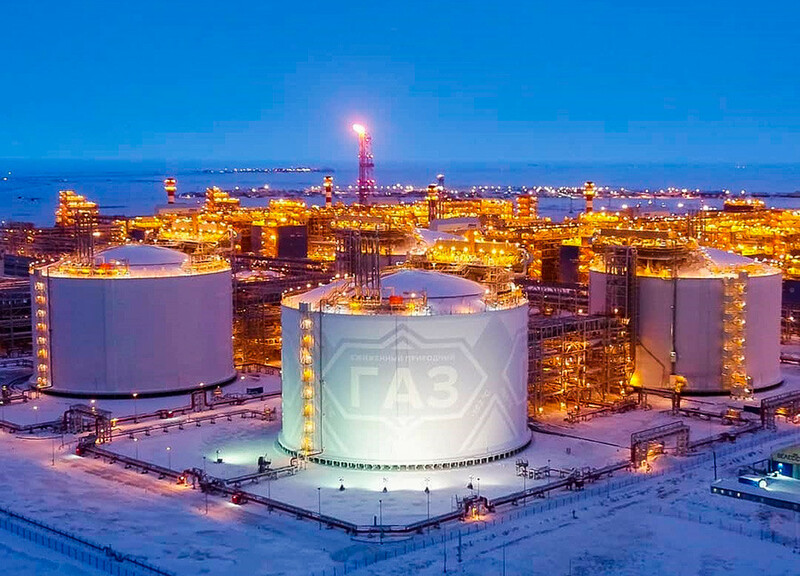 The gas is produced on the Yamal Peninsula, is liquefied at the Yamal LNG plant, and then sent to any countries that need it. For ships like this, navigating the Gulf of Ob is no easy matter. It’s relatively easy to turn the vessel around in Sabetta Wharf, where the LNG plant is located, but when entering the Kara Sea or returning to port it’s only possible to turn in a 50 km-long man-made canal (300 meters wide and 14 meters deep) – this may sound like a big space but “Christophe de Margerie” is a huge ship with a mammoth draft. What’s more, the ice in the canal is often drifting at quite a pace, so dodging it while avoiding running aground takes a lot of skill and concentration. The captain has no margin for error. 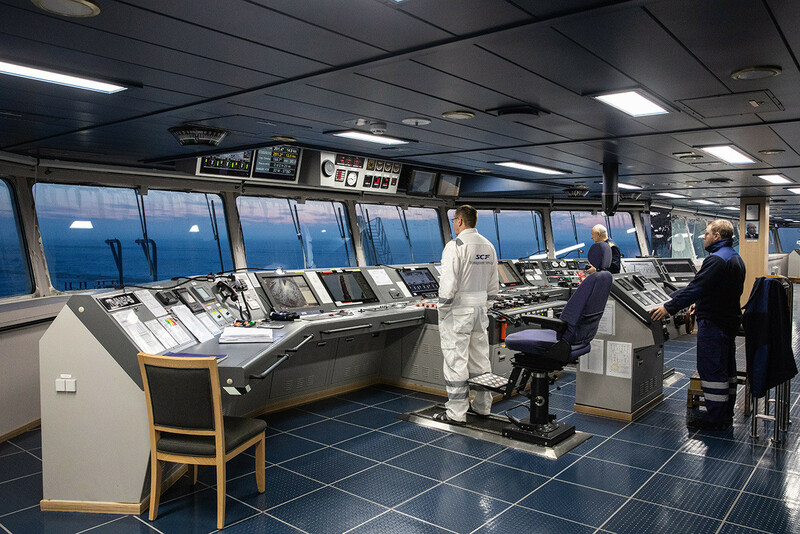 His every movement, every turn of the Azipod joystick, every increase or decrease in engine speed must be perfect. He’s responsible for a huge tanker, the size of a ten-storey building turned on its side, loaded with a momentous haul of liquefied gas ($62 million). The ship itself is worth $330 million and there’s also the crew of 30 people to consider, not to mention the reputation of the company – and Russia itself! This is what responsibility means.